Car hire Gran Canaria Spain. 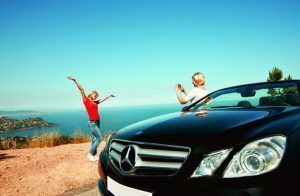 We compare prices from Gran Canaria’s leading car hire companies in over 300 different destinations. Our car rental rates always include unlimited mileage and all necessary taxes and fees. Use the search engine below to find cheap car hire in Gran Canaria. The best way to discover the unspoilt Gran Canaria is to rent a car and drive lost in the countryside. There are many villages and small places that are not yet occupied by tourists, and here you can meet the local culture up close. We offer a wide range of car hire in Gran Canaria in Spain, ranging from small cars that best suit a couple traveling alone on holiday, to large family cars like SUV and minivans where the whole family can travel together. Whatever you need, we have a rental car that will suit you well. How about making your holiday in Gran Canaria a little more special and treat yourself with some luxury? Experience the fresh air, the wind in your hair and enjoy the most beautiful monuments with a convertible car hire in Gran Canaria. A good selection of convertible cars from many different car hire companies means that we have a convertible for you regardless of budget, ranging from economy to luxury class. Renting a convertible is a fun and stylish way to experience many of the sights throughout Spain. Gran Canaria you explore best in a rental car, and if you need 7 or 9 seater car hire in Gran Canaria, it is cheaper to rent than two small cars, as well as savings on gasoline costs etc. With a seven or nine seater car, it will allow bigger families or golf groups to travel together so nobody misses day trips to the beach or other adventures in Gran Canaria. Book you car rental early, because all 7 and 9 seater cars are highly requested, with limited availability. This is especially true for Easter and the summer months between June and September. Gran Canaria can be so much more, for the traveler with a taste for culture, food and adventure. The various parts of the island have their characteristics – in the south you have the most visited places and beaches with dunes at Maspalomas, party life Playa Del Ingles and Gran Canarias Venice Puerto de Mogan. Heading north you will find true European metropolitan life in hectic and happy Las Palmas, and the more pristine villages. For those actually exist. That it is a delight to discover Gran Canaria on your own, is no myth. The island has a slightly different peak season than the countries around the Mediterranean. It is December to March it is like fullest on hotels, because the temperature remains as stable all year round. It is rarely too cold to swim. The more active travelers pulls up in the mountains of central areas of the island, a paradise for hiking when temperature is at its highest. If you are first in Gran Canaria and want to use the time for anything other than sunbathing and shopping at one of the markets so you need to test out one of the wonderful golf courses that take place in incredibly vibrant surroundings. Golf on Gran Canaria is equally suitable for beginners as intermediates. And if you’ve never played golf before so can the various golf courses offer great coaches that help you swing. Gran Canaria is the most populous island of the Canary Islands, a Spanish archipelago, with a population of 838,397. Being located in the Atlantic Ocean, about 150 kilometers (~ 93 miles) off the northwestern coast of Africa and about 1350 km (~ 838 miles) from Europe. 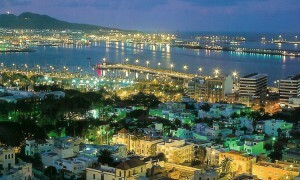 Gran Canaria is located southeast of Tenerife and west of Fuerteventura. The island is of volcanic origin, mostly made of fissure vents. Gran Canaria area is 1560 km ² and its maximum altitude is 1,949 meters (Pico de Las Nieves). It has a circular shape with a diameter of about 50 km. Gran Canaria is the perfect family vacation destination with something for every age. Eyes are often referred to as a miniature continent because of its diversity of nature and climate. Volcanic craters, exotic parks and beautiful coastlines are just some of what Gran Canaria has to offer. Here it lacks at least not on activities. See sahara-like dunes in Masapalomas, go on camel safari or visit the Crocodile Park Roque Nublo. Offer of excursions to botanical garden, caving or diving is not getting. Do not miss the picturesque village of Puerto de Mogan, popularly known as “Little Venice” because of sentrumsstrukturens many channels.